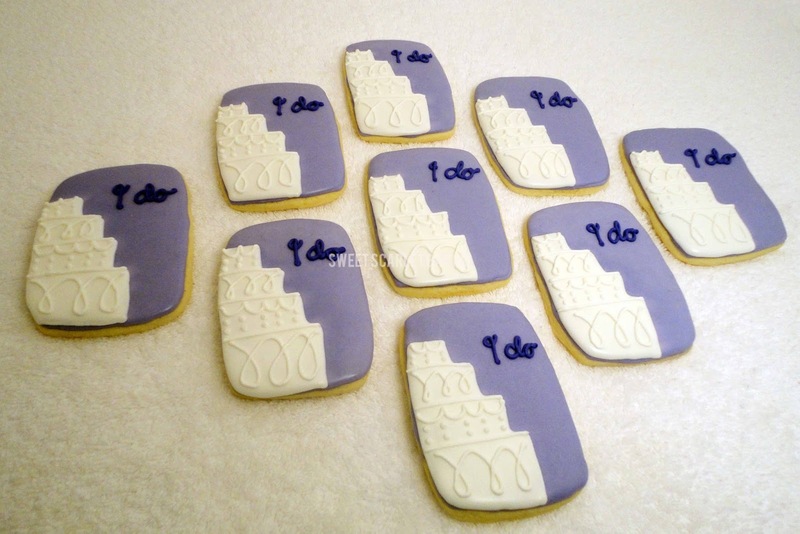 These decorated sugar cookies made this bridal shower just that much sweeter. 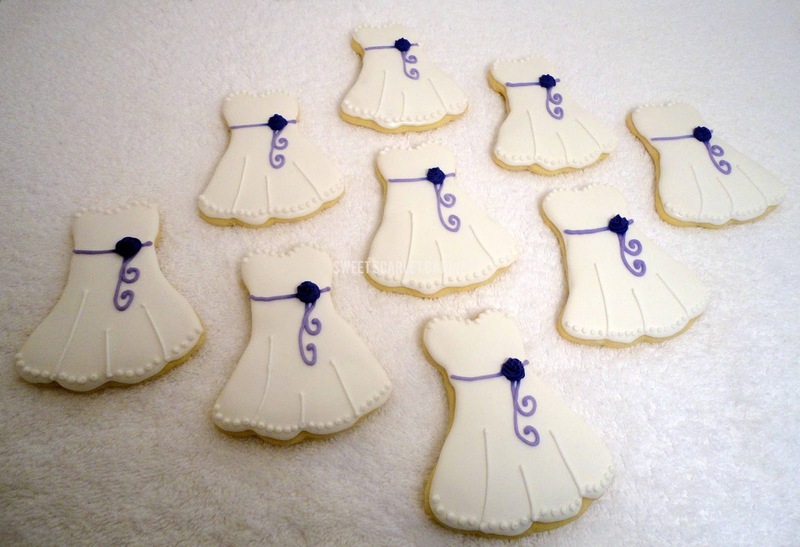 a gorgeous platter for the bridal shower guests to enjoy. 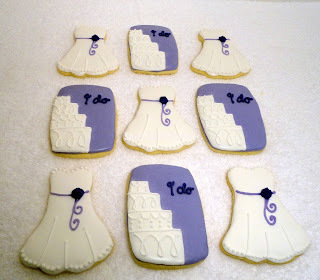 My customer also wanted to send each guest home with a little something sweet. 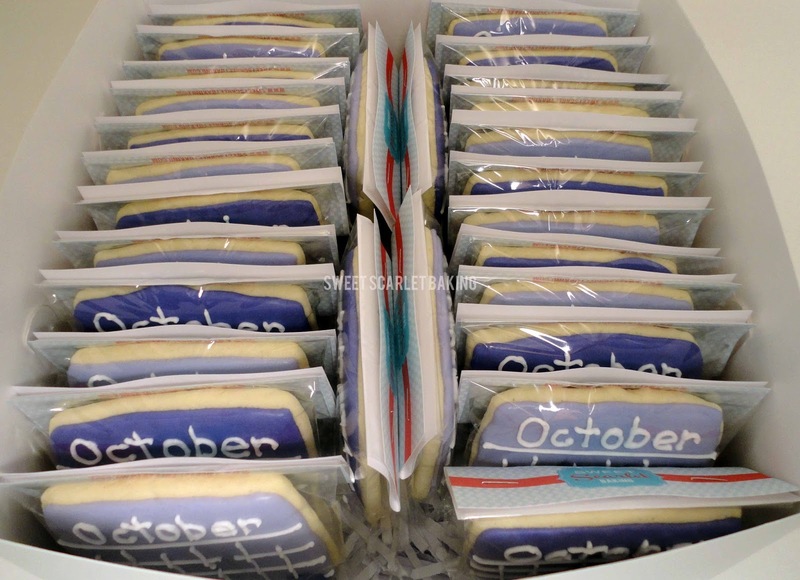 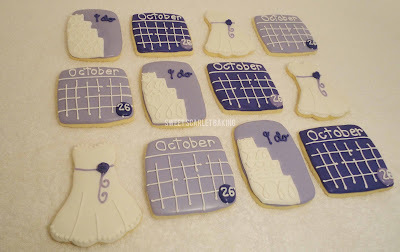 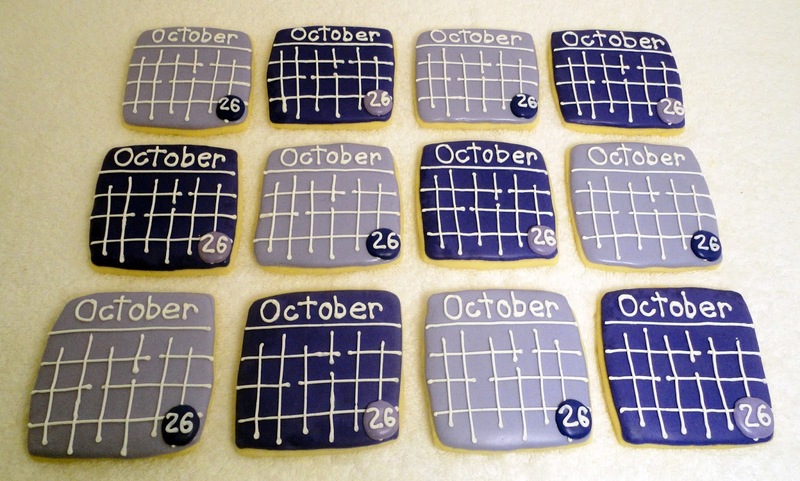 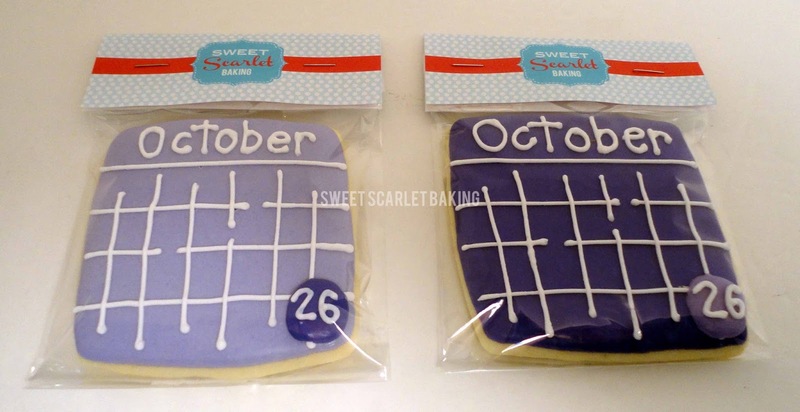 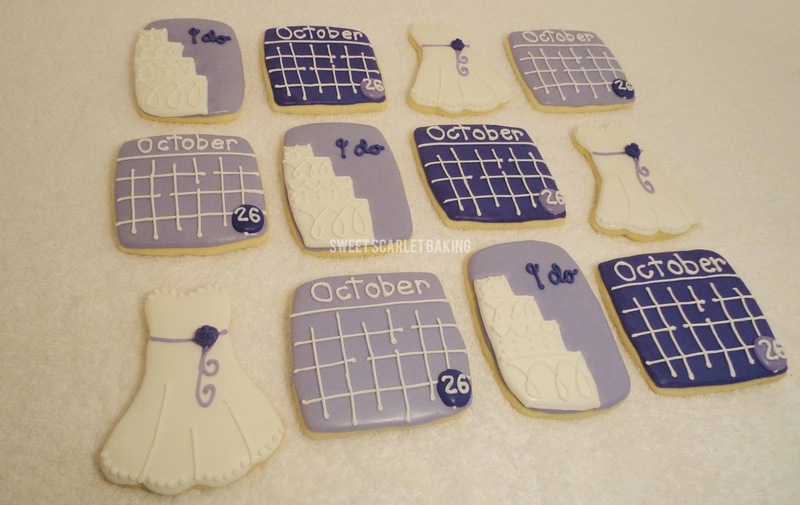 These save the date cookies are the perfect way to recall a day spent celebrating the special bride. 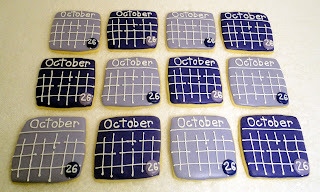 They are also a fun reminder of the big event to come. 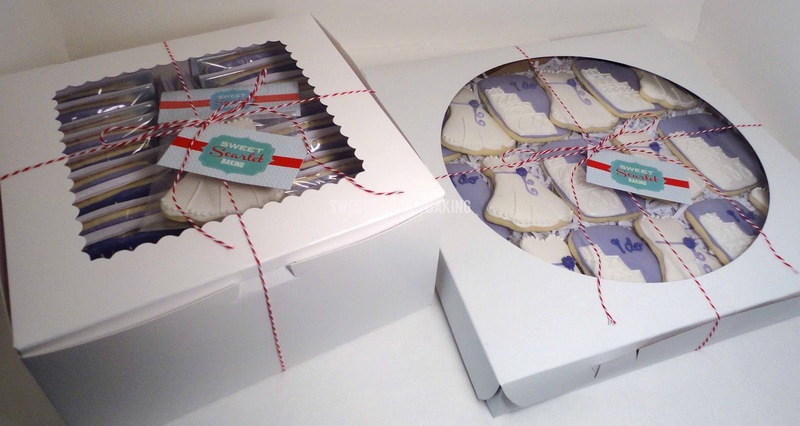 We even packaged up one of the wedding dresses as a place card for the bride at the shower.